Dr. Robert, of solo and Blow Monkeys fame, has just released his latest solo album. His tenth solo album is entitled Out THere and you can stream it below. A few years back, I got the chance to interview him – he rang me from his home in Spain, around the time of the Blow Monkeys’ album Feels Like A New Morning. You can read that here. 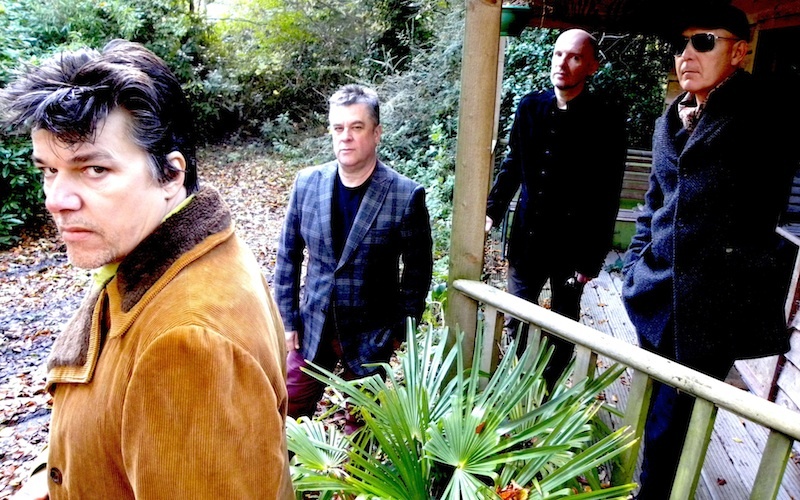 Ahead of a date at Edinburgh’s Electric Circus, The Blow Monkeys’ Dr. Robert calls 17 Seconds to discuss working with the legendary Curtis Mayfield, his Scottish roots and how he really felt the day after Margaret Thatcher died. It’s quite exciting to get a phonecall from a bone fide music legend at home. 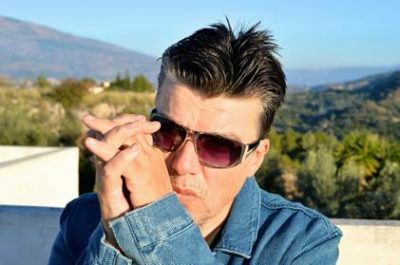 Dr. Robert is about to head off on tour in the UK promoting the Blow Monkeys’ third album since reforming in 2007, Feels Like A New Morning. I start of by asking him how it feels, six years down the line from reforming. ‘It feels good,’ he tells me, ‘feels like we’re on a bit of a roll.’ Coming on the heels of Devil’s Tavern and Staring At The Sea, he says that the new album is the best of the three and quite seriously considers that it may be a contender for their best album. The album, I tell him, is like being given a nice warm hug. It was recorded in Bangor, wales, at a friend’s studio, amazingly mixed and recorded in just eight days. Not that he has left his solo career behind. I ask him how he decides whether or not a song should be a solo song or a Blow Monkeys song. ‘I wrote with the band in mind,’ he explains ‘and on my own I go a bit more leftfield.’ Thirty years into his career, he is not worrying about whether a song will get played on the radio or not. The Blow Monkeys certainly had big chart hits in the eighties, but some songs fell foul of the BBC. Not least when they released ‘Celebrate (The Day After You)’ around the time of the 1987 General Election. I ask him how he felt the day after Margaret Thatcher died this year. ‘It wasn’t just about one person,’ he tells me down the ‘phone from Spain, where he now lives with his young family. ‘It was about the Philosophy that she and Regan put forward, and then Blair put forward. In the eighties, it was important to say where you stood,’ he adds. Certainly he and the Blow Monkeys were quite clear on this – the parent album was bluntly and wonderfully entitled She Was Only A Grocer’s Daughter. Another track was entitled ‘The Grantham Grizzler.’ However, he does tell me that he didn’t have a euphoric rush on hearing about her death. Dr. Robert and the Blow Monkeys might be portrayed in the eighties slick soul category, but as well as working with Mayfield, they also had an eye on what was going on in the dance scene. A solo single -credited to Dr. Robert and Kym Mazelle -called ‘Wait’ was a hit in early 1989. This was what was being touted as ‘deep house’ at the time when ‘acid house’ went out of fashion, having gone overground. I ask him how this collaboration came about. Thankfully for us, though, he still comes back here. There’s the tour this month, and the band are signed to long-running British indie Cherry Red, who he ‘enjoys’ being with. Next year the band plan to hit the festival circuit, before starting work on their new album in the autumn of 2014. Celebrate the days with them. Feels Like A New Morning is out now on Cherry Red. 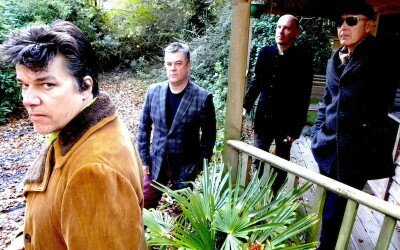 The Blow Monkeys play Edinburgh’s Electric Circus on November 17. Eighteen years after they last played together, this year sees the return of The Blow Monkeys. The four members, Neville Henry, Mick Anker, Toney Kiley and their charismatic singer the legendary Dr. Robert are back together and…it’s fantastic. With reformation albums (and you can probably ask the Verve about this), there are going to be difficulties, surely? Well, no, not here. Because whatever those flies on the wall witnessed, the end result is fantastic. The band are certainly not retreading old ground, but producing fantatsic songs that genuinely can add to their canon. There are no re-writes of ‘Digging Your Scene’ ‘Choice?’ or ‘It Doesn’t Have To Be This Way’ but rather, songs that came together without the machines taking over, as Dr. Robert himself acknowledges happened in the eighties. He says that songs like the gorgeous ‘A Momentary Fall’ and the fabulous single ‘Bullet Train’ take them into areas they’ve never been before. To listen to a song like ‘Wait’ now reminds you of how they investigated new ground, but also that they were machine driven at the time, and they sure as heck are not now. So is there still a ‘glam jazz swing’ element to their music? Well, it’s there, in part, but it feels fresh because they are making something new, rather than treading new ground. And that’s the best you would want from any band, especially eighteen years since their last album. They always mixed up a huge variety of influences, and that continues. Good to have you back, guys. Don’t leave it eighteen years next time. Devil’s Tavern is released on September 8 on Blow Monkey music. Yup folks, Dr. Robert, one of the thorns in Margaret Thatcher’s side that wasn’t in her cabinet returns! The Blow Monkeys will release The Bullet Train as a first single from their brand new studio album Devil’s Tavern, their first LP in 18 years on August 18th. With hits such as ‘Digging Your Scene,’ one of the first songs about A.I.D.S., It Doesn’t Have To Be This Way, and the many anti-Thatcher songs, particularly ‘Choice?,’ it’s a welcome return. Their very nice PR lady, Rosie, is currently trying to arrange for me to interview Dr. Robert, so keep those digits crossed for me, and their manager has graciously given permission for me to post this preview of their new single. And let’s face it, any band who put out an album called She Was Only A Grocer’s Daughter in an election year deserve a cheer (if you don’t know what this refers to, google Thatcher the Milk Snatcher). You will also find more mp3s at the official websites.